A grimdark fantasy with distinctly millennial undertones. This post won’t be so much a review as some musings since others, particularly S. Qiouyi Lu’s review, capture the cultural and historical nuances of R. F. Kuang’s The Poppy War better than I could. Even so, the book moved me enough I want to write about it, and as it gains more and more readership, I’m not alone in my championing of the book. The novel opens with a test. The Keju determines the limited placement of students at the academies, and war orphan Rin totally aces the exam, meaning she’s destined for military greatness if she doesn’t wash out Sinegard, the premiere military academy. Everything gets in her way from her lack of family connections, childhood of poverty, and gender. She catches a break when the eccentric master Jiang takes special interest in her. While his shamanism seems too mystical to be useful, Rin changes her mind when she’s visited by a god. This description covers very little of the book, but I don’t want to give too much away. One of the things I loved is Kuang’s pacing. As suggested by the title, this book isn’t only focused on Rin’s early training but expands into the war that comes afterward. If reading that description reminded you of the most famous modern fantasy Name of the Wind by Patrick Rothfuss, then good. Kaung plays with many of the same beloved tropes from the eccentric mentor to Rin’s academic struggles. That being said, Kuang brings a different point of view to these moments, such as what happens when Rin menstruates for the first time (Kvothe never had to deal with that). While I love fantasy novels like The Poppy War, Kuang’s story has taken a special slot on my shelf because, as a millennial, I connected to the novel on a generational level. No, Kuang did not include avocado toast. From the voice to history to worldbuilding, the novel captured how I so often feel as a millennial. While the USA school testing systems are vastly different than Chinese systems, I remember the pressure of the SATs and GREs--and the relief at performing well. Like Rin, millennials grew up in the shadow of a terrorist attack and hearing the propaganda surrounding a war. Due to income inequality, those millennials that made it into “the good schools” found a cultural gap caused by wealth. Like Kuang’s worldbuilding around opium and other hallucinogens, so many millennials have watched their hometowns and families destroyed by opioids while simultaneously voting for the legalization of marijuana. These issues have marked the millennial generation, and Kuang captures them on the page. A final element worth mentioning is Kuang’s voice. Now don’t get me wrong, I love me some fantasy language. I will fight anyone who complains that Tolkien is “stilted.” The Poppy War walks the line of traditional fantasy language but with updates, such as this line from Rin’s mentor Jiang when another master suggests Jiang should consider what people would say about him training Rin alone: “Probably that a master of [my] rank and standing could do much better than dicking around with female students.” I’m pretty sure most 500+ page fantasies do not use the word “dicking.” Of course Kuang’s voice expands beyond slang to the dialogue, humor, pacing, and sentence structure. 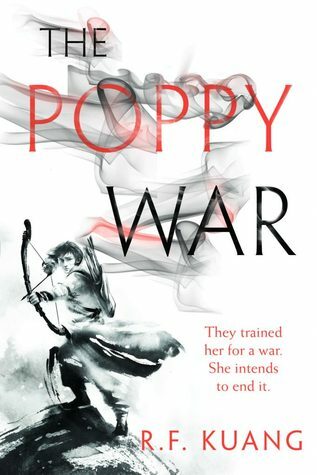 The Poppy War is the modern fantasy I’ve been wishing for. As a fantasy reader and writer, I believe in the genre’s power to provide a new lens to view and explore societal issues. R. F. Kuang uses the genre to capture the struggles of millennials in a grimdark book that any reader of modern fantasy will enjoy.